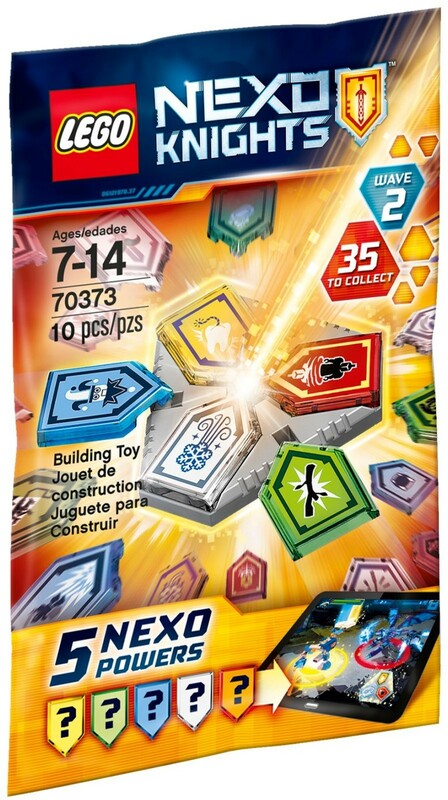 Open the sealed bag to reveal the 5 ‘mystery’ NEXO Powers and combine any 3 to create your own way of beating Monstrox and the Stone monster enemy. Place the NEXO Powers in the included Combo NEXO Power shield and scan it into the free LEGO® NEXO KNIGHTS™ MERLOK 2.0 app to bring your unique creation to life in the game. 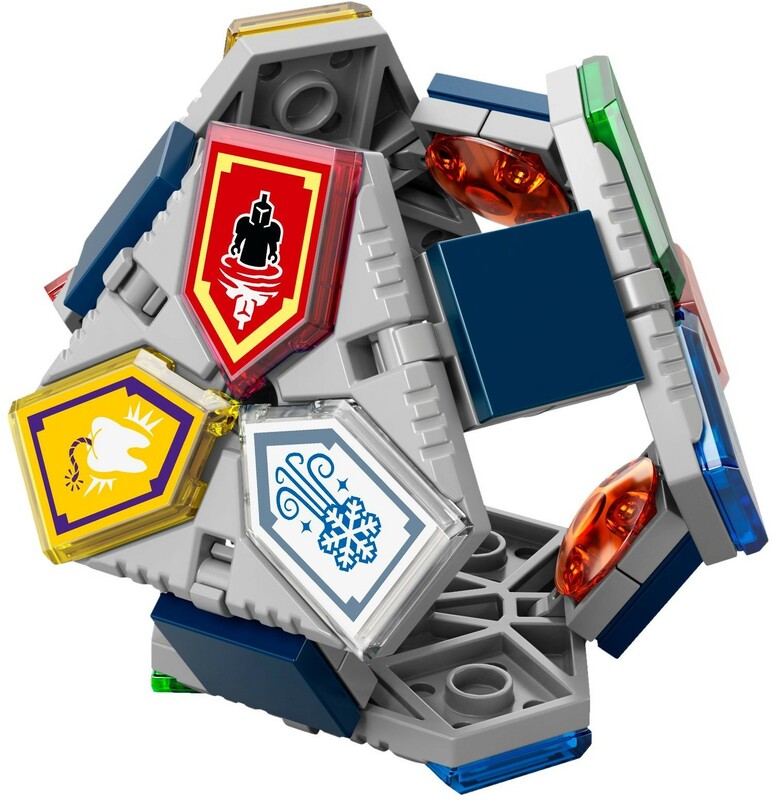 Features 5 mystery NEXO Powers, each in a different color (red, green, blue, yellow and white), plus a Combo NEXO Power shield.• Scan the shields to create your own combination to defeat Monstrox and the Stone monsters in the LEGO® NEXO KNIGHTS™: Merlok 2.0 app.• Connect Combo NEXO Power shields together with the connecting elements and build your own unique structures.• More than 35 NEXO Powers to collect!• Also includes an information leaflet.• Download the free LEGO® NEXO KNIGHTS™: MERLOK 2.0 app to your smartphone or tablet. Ask your parents’ permission.• Watch all your favorite NEXO KNIGHTS™ episodes on Cartoon Network.• PLEASE NOTE: Only 5 of 35 individual NEXO Powers in each ‘mystery’ bag. Unfortunately, we cannot accommodate requests for specific NEXO Powers.